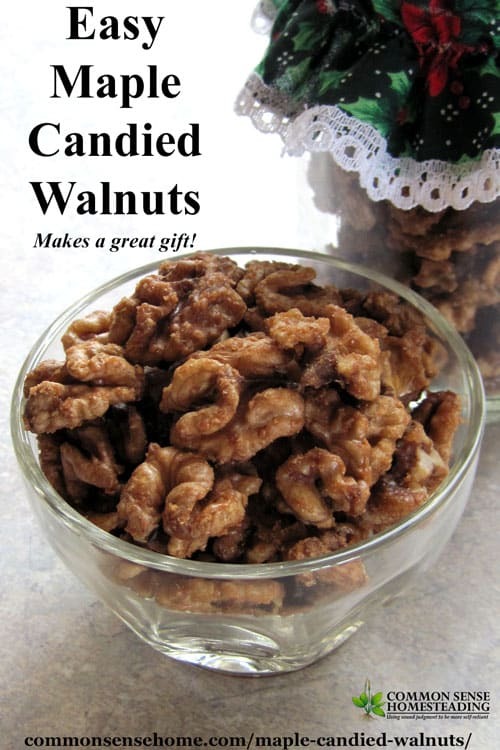 This maple candied nut recipe also works well with pecans, almonds and other nuts. The aroma as the nuts are roasting is wonderful. Sometimes I make a double batch, because they're so good that a single batch disappears too quickly. These are nice combined with a fruit tray for holiday entertaining, too. 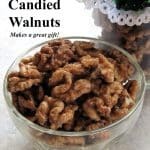 I usually store my finished nuts in mason jars, and top with a jar cozy (or round fabric scrap tied with a ribbon) for gift giving. Preheat oven to 400°F. Whisk together syrup, oil, cinnamon and salt. 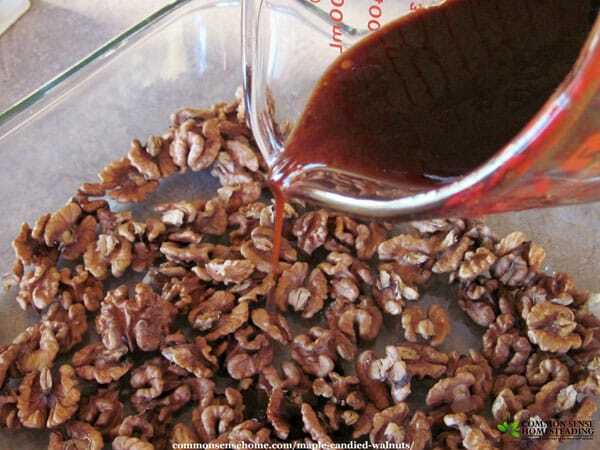 Spread walnuts in a 9×13 baking dish and pour topping over the nuts. Stir well with a spoon. Bake for 12 to 14 minutes, watching carefully so they don't burn. 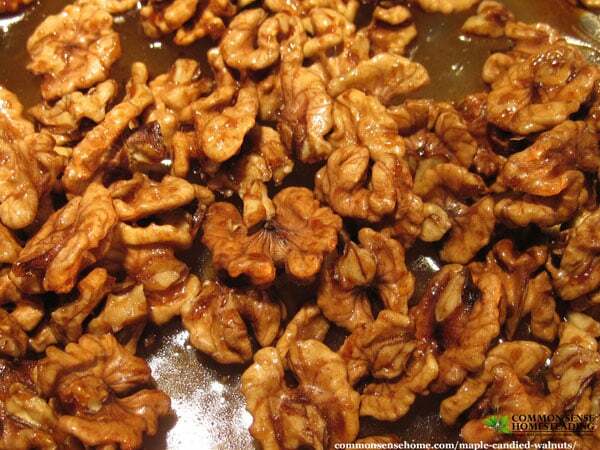 As soon as they come out of the oven, stir them up so the syrup sticks to the nuts and not the pan. Immediately transfer the nuts to a plate to cool. Store in an airtight container and use within one month. 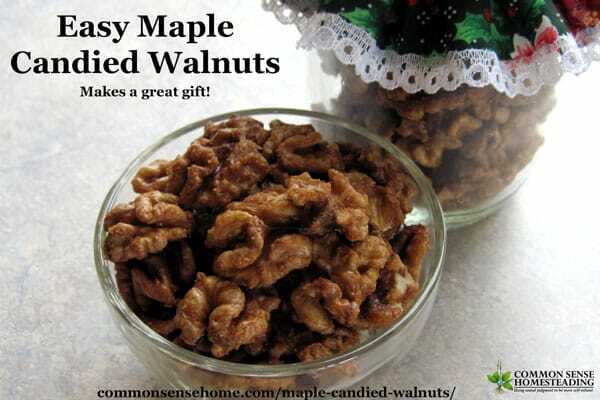 With real maple syrup and a touch of cinnamon, these maple candied walnuts make a special treat for any occasion. Stir well with a spoon. Bake for 12 to 14 minutes, watching carefully so they don’t burn. These sound and look delicious i will be making them tomorrow x Thank you God Bless.